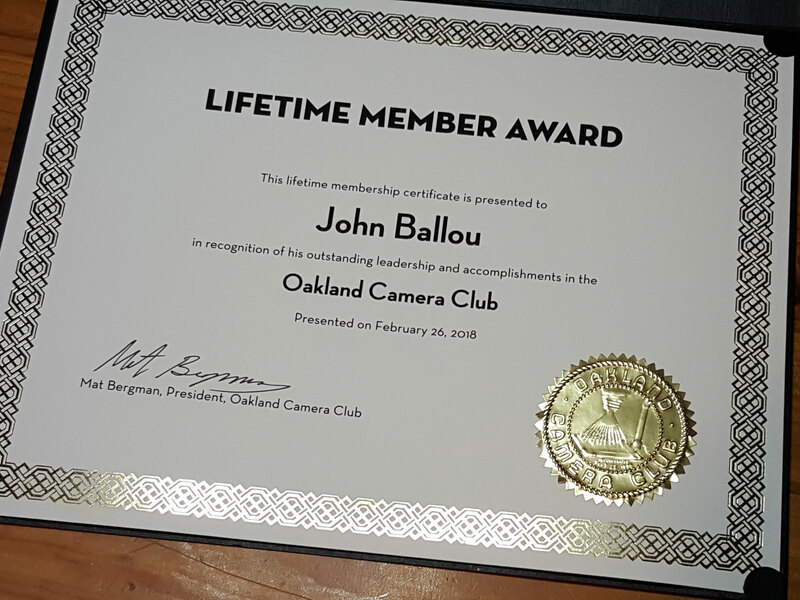 Congratulations John Ballou, the Oakland Camera Club’s newest lifetime member. John’s contributions to the Oakland Camera Club are enormous. John is responsible for the Oakland Camera Club’s transition to digital projection, single-handedly performed as projectionist for years. Given the effort involved, we really should have called ourselves the “Oakland Projector Club”. Internationally, John served as chairman of the PSA-recognized Oakland International Stereo Exhibition. It’s an annual tradition, kept alive by John, that’s a destination for stereographers across the globe. John also remains an active stereo photographer with an exceptional eye for composition and a mastery of his cameras. Assemble stereo photographs from sources not originally intended for stereo. Digital stereo images will be shown on the club's 3-D HDTV. Read about Preparing Digital Slides for details.